Perler Bead 8 Pointed Star – Hello Holy Days! 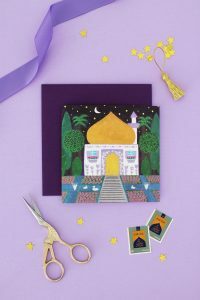 Adults and kids alike will enjoy this fun Ramadan craft. 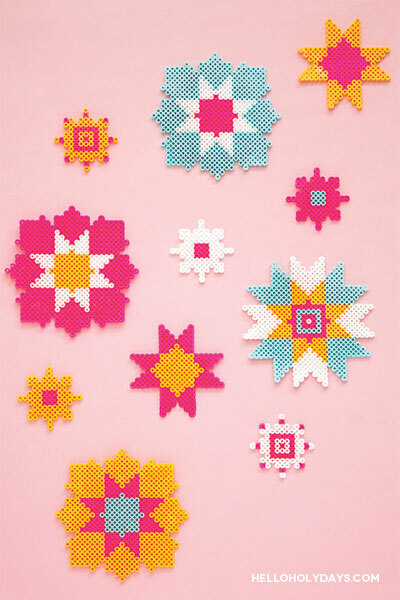 Make 8 pointed stars from Perler beads in bright cheerful colours befitting for summer weather. Islamic art heavily relies on geometry and Perler beads are a great medium to explore symmetry. Expand the 8 pointed star to create different flower patterns found commonly in Muslim cultures – it makes for lovely Ramadan decor! Download our free clipart and place it underneath peg board. Use it as a guide to make design with beads on board. Place wax paper on peg board and iron for 10-20 seconds for small stars and up to a minute for large stars. Carefully remove wax paper and let cool. Gently iron on opposite side with wax paper for 5-7 seconds.